1 Quility Weighted Blanket Review – How Does it Work? 4 Quility Weighted Blanket: How Effective is it? The Quility weighted blanket speaks for itself – it is short for ‘tranquility’. The company started as a small family business but it has expanded a lot since its humble beginnings decades ago. Today, they offer a wide assortment of great products, including regular quilts, duvet covers and, of course, weighted blankets. They might not be as well-known as some of the more popular brands that sell weighted blankets, but recently they’ve started making headway by partnering up with Target and selling their weighted blankets through that outlet. That’s where I came across it and decided to try it out – the cost was approachable, and I had very little to lose and a lot to gain if it managed to help with my anxiety and restless legs. 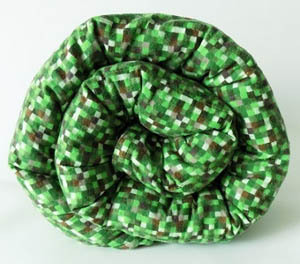 What I found was a duvet that does have some shortcomings but can still be easily compared with the best ones out there. Take a look below to see my detailed review and find out why I came to that conclusion. Quility Weighted Blanket Review – How Does it Work? Weighted quilts have recently risen in mainstream popularity as tools for dealing with anxiety, insomnia, depression, panic attacks, PTSD and other disorders. However, are they even effective? Well, before they reached mainstream popularity, weighted blankets were used for decades in psychiatric clinics for helping patients calm down and have also been used to treat children with disorders on the autism spectrum. Their beneficial effects have long been proven – but how do they work? The key word here is ‘deep touch pressure’ – a type of therapy that involves applying consistent pressure on the entire body. This simulates human contact and calms you down, leading to the release of chemicals like serotonin and oxytocin in your body, thus relaxing you further. In essence, it’s the same reason why children with autism are calmed by a hug when they’re having a tantrum or the reason why you fall asleep easier while your girlfriend/boyfriend is hugging you. The release of these chemicals leads to other benefits as well, including reduced stress, lowered blood pressure, slower heart rate, and so on. The way in which weighted blankets provide you with deep touch pressure therapy is by having pockets filled with heavy materials, usually small glass or metal balls. When you cover yourself in a quilt like this, you feel increased pressure over your body, combined with the warmth of a regular blanket which triggers deep touch pressure. 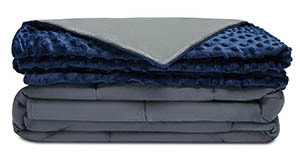 Quility weighted blankets are made to help provide everyone with adequate deep touch pressure therapy. While originally there was only one variation on the quilt, over the years many different sizes and weights have been included in the assortment so that everyone can find their perfect weighted blanket. These days, Quility weighted blankets come in many different weight classes and sizes – to get the perfect therapy, they suggest that you pick a blanket that weighs in at around 12 to 14 percent of your total body weight. 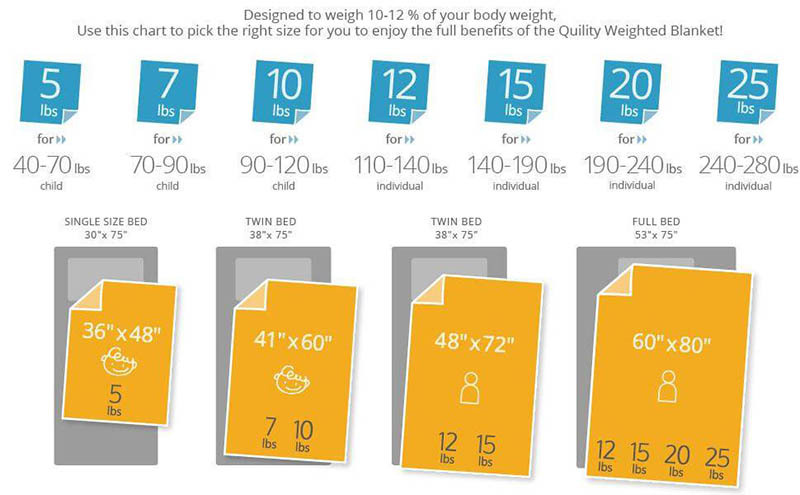 Single-size (30’’ x 75’’) duvets weigh 5 pounds, while twin (41’’ x 60’’) can weigh 5 or 7 pounds or, in their larger size (48’’ x 72’’) 12 or 15 pounds. 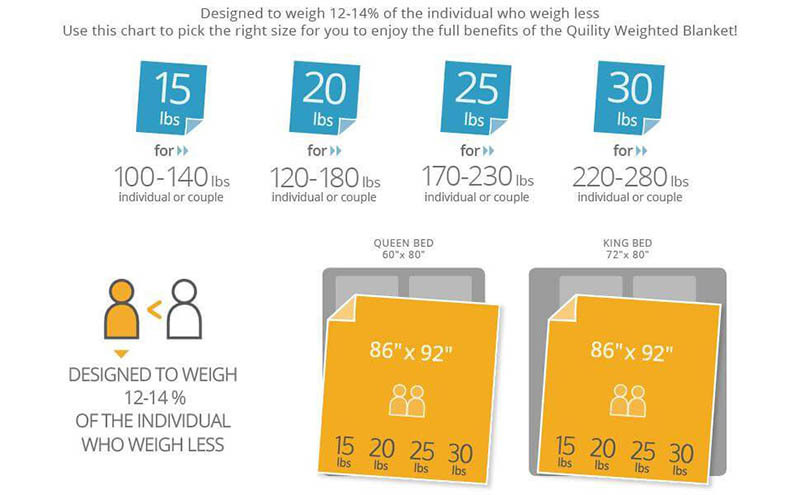 There’s also the full size (60’’ x 80’’) blanket which can weigh 12, 15, 20 or even 25 pounds. The largest size available (86’’ x 92’’) can fit queen size and king size beds and can weight 15, 20, 25 or an astounding 30 pounds. They also come in multiple colors – navy blue, aqua, ivory, grey, chevron or even pink. As you can see, Quility seems to be dedicated to providing everyone with a weighted quilt that can suit their needs. The Quility weighted blanket is more affordable than most, which might bring up doubts about its build quality and the quality of the materials used to make it. However, those doubts are unjustified – it’s as well made as any other weighted blanket out there, and I would venture to say it’s even better than most. It’s made out of breathable cotton fabric as the outer layer with two extra-durable polyester layers directly beneath that in order to safely store the glass beads which are loaded into the pockets below that. Additional polyester padding surrounds and supports the weighted beads while quality stitching keeps everything together. 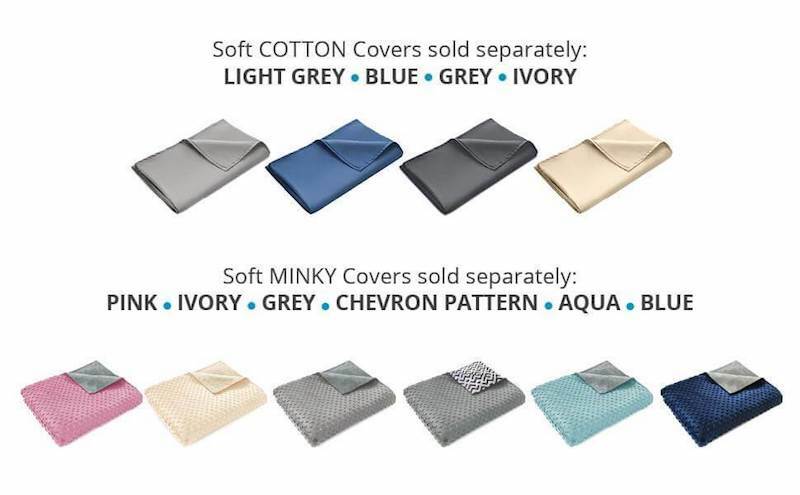 This is all enveloped in one of two different types of duvet covers that you can buy separately – minky or cotton. It’s too bad that the covers aren’t included with the quilt since they make it much more comfortable. However, even if you do buy them separately, the total cost isn’t too high. You can easily hand wash the inner comforter or dry clean it, without worrying about beads falling out. You shouldn’t tumble dry it, though. It can be a bit of a hassle to wash and dry because you have to do it all by hand, but it’s worth it. Quility Weighted Blanket: How Effective is it? All things considered, I can say that the Quility weighted blanket did help me sleep better – though it also made me want to stay in my bed a little longer than I should. Overall, I felt better and more energized after sleeping with this blanket which is a plus in my book. I was also able to string together a solid 8 hours of uninterrupted sleep for several nights in a row, something that rarely happens to me. For a weighted blanket that costs just short of 80 dollars, that’s simply amazing. It’s worth buying even if you don’t have major sleep problems since the price is so affordable. The price might change in the future, but as things stand now, the Quility weighted blanket is great and worth every penny. My final verdict – this is a quilt that’s better than most competitors and cheaper to boot and worth it if you can deal with the hassle of washing it by hand. 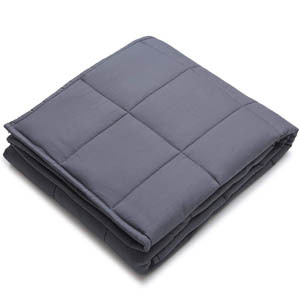 The effectiveness of this blanket is undeniable, and it is well-made which is surprising for a weighted comforter which costs so much less than its competition. It might not be on the level of some of the top brands, like Gravity, but it’s more than worth its price as it is. As soon as I started using it, I started sleeping better and feeling better in the morning. If you’re suffering from insomnia or wake up a lot during the night, this is a blanket you should try, and it won’t even cost you that much. Just remember to wash it by hand and buy one of the covers to make it more comfortable. 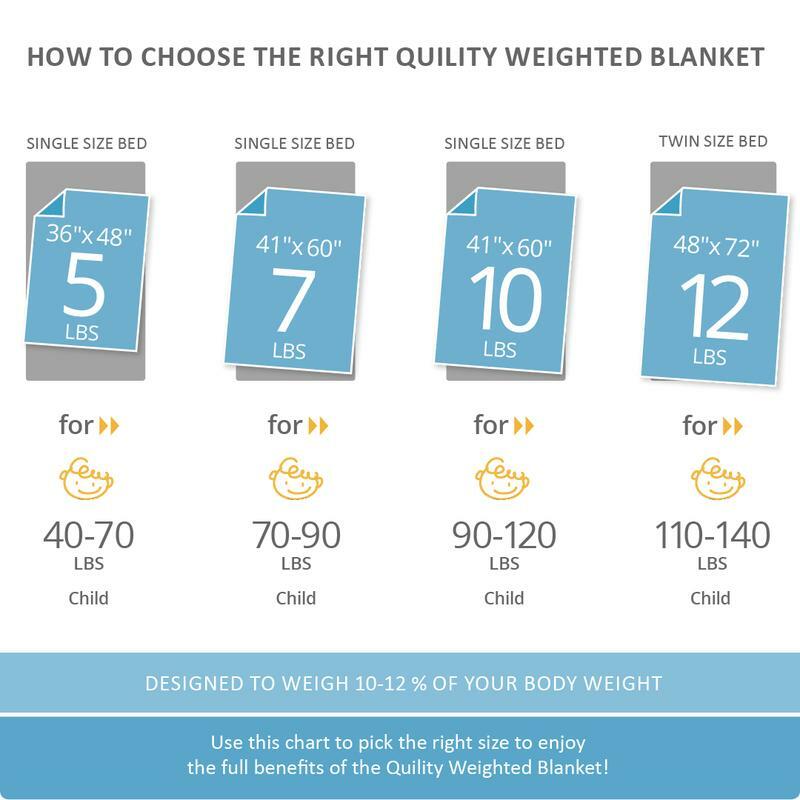 Besides that, I think the Quility weighted blanket is a winner – find the right size and weight for you and try it out to see what I mean.